HI, I am Janmejay Sahu (Jay). 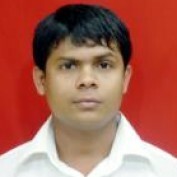 Janmejay Sahu (M.A. English, M.A (Mass Communication) a creative writer and currently working in a BPO in Mumbai. To know more.................... Call me on "9821772429"